Some more classics have arrived at Hulu. Today, the streaming service announced Home Improvement, Boy Meets World, and Dinosaurs are now available to stream. The three ’90s sitcoms are just the latest acquisition for Hulu. Recently, the streaming service revealed they will also be the streaming home to 30 Rock, Parenthood, and the upcoming Paul Reiser comedy There’s Johnny. All episodes of Dinosaurs, Boy Meets World, and Home Improvement are available to stream on Hulu as of today, September 29th. SANTA MONICA, CA (September 29, 2017) — Today Hulu announced a new agreement with the Disney-ABC Television Group for the exclusive U.S. subscription video-on-demand rights to all episodes of iconic sitcoms Boy Meets World, Home Improvement and Dinosaurs. The deal will mark the long-awaited SVOD debut of the complete libraries of hit series Boy Meets World and Home Improvement. In addition, all episodes of fan favorite Dinosaurs, from The Jim Henson Company, will also become available to stream in SVOD exclusively on Hulu. All titles will begin streaming on Hulu September 29th. After premiering in the 1990s as part of ABC’s “TGIF” lineup, Boy Meets World became a hit family series that went on to air for seven seasons. The series remains just as beloved to date and has been syndicated, as well as inspired spin-offs. The complete series will make its subscription streaming debut on Hulu on September 29th. What do you think? Do you subscribe to Hulu? Will you watch Home Improvement, Boy Meets World, and/or Dinosaurs? 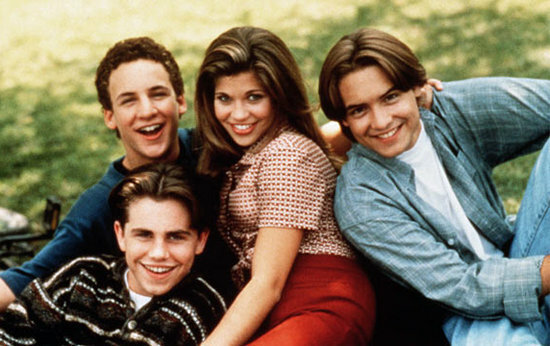 More about: Boy Meets World, Dinosaurs, Home Improvement, Hulu TV shows: canceled or renewed? Yes my shows grew up with is coming on there so good news to hear.